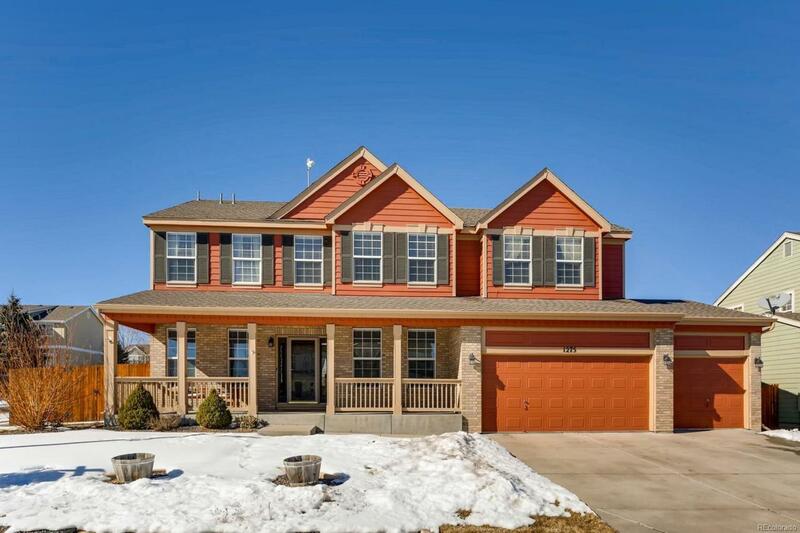 This house has everything you could want in a floor plan! As you enter you'll find a formal living and dining room. There's a convenient office or guest suite. Large open living room with soaring ceilings and natural light. The kitchen has plenty of counter and cabinet space in addition to the pantry. The basement is finished with a mother-in-law suite (including private bath and kitchenette). Upstairs the bedrooms are spacious and the master bedroom has some separation from the other bedrooms. Laundry is conveniently located upstairs. This house sits on a corner lot making it easy to access back yard. Almost everything is included: Remote controlled patio awning, HD/3D Projector in basement, Ceiling mounted shelving in garage, ALL appliances, Hot tub in back yard, Water softener.